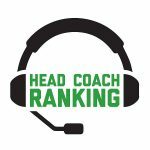 No surprise, Los Angeles Rams head coach Sean McVay and Kansas City Chiefs head coach Andy Reid both finished with Head Coach Ranking grades among the top 10 in Week 9. After all, they are the only coaches to finish in the top 10 every week this season and they remain atop the overall HCR rankings. But there’s another coach breathing down their necks. New Orleans Saints head coach Sean Payton earned a Week 9-best grade of 9.2 thanks to his team’s big win Sunday over McVay’s Rams – upping his overall HCR score to 8.1. McVay and Reid are tied at the top of the HCR rankings with a score of 8.2. It’s safe to say these three coaches will be battling for the top spot the rest of the season. 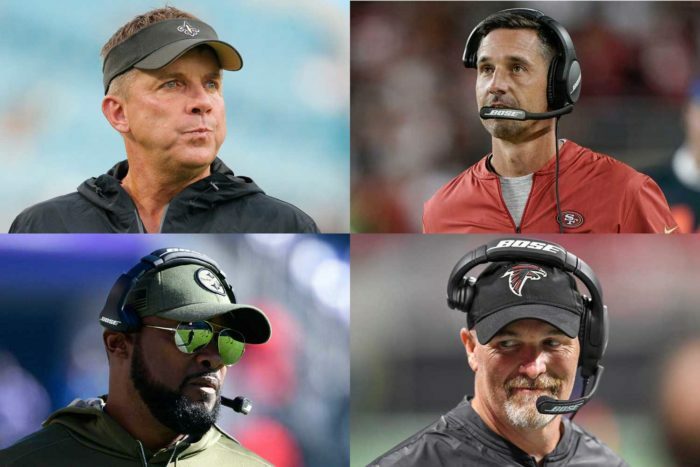 • The three highest-ranked head coaches in Week 9 are from the NFC – Payton, followed by San Francisco’s Kyle Shanahan (8.4) and Atlanta’s Dan Quinn (8.2). Three of the four NFC South coaches made this week’s top 10 – Payton, Quinn and Carolina’s Ron Rivera (7.4). • McVay was the only losing coach in Week 9 to earn a top 10 grade – tied for fourth with an 8.0 for the loss at New Orleans. • In his debut as interim head coach of the Cleveland Browns, Gregg Williams earned a respectable 6.8 in a 37-21 loss to the AFC-leading Kansas City Chiefs (but we weren’t happy that he went for a 2-point conversion early in the game and kept chasing those points the rest of the game). • With a 7.6 grade for the Chicago Bears’ easy win over Buffalo, Matt Nagy continues to have the top grade among first-year head coaches. Nagy has an overall grade of 7.5, which is sixth in the overall rankings.